“Guess who I met today my all time crush hahahahahaaa feeling all happy a good Tuesday it wwill be @ian_wafula”. Sometimes back the social media was awash with rumors that the actor was gay judging by his funny girlish antics. 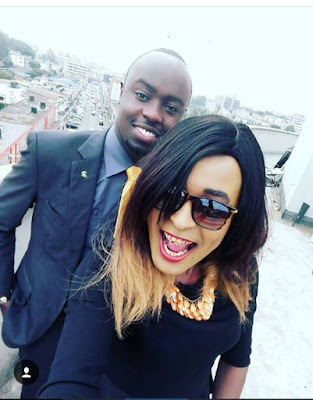 Mr Muthaka was quick to defend himself during a past interview with Jeff Koinange and he revealed that he will be walking down the aisle with his one and only very soon.